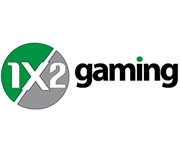 1X2 gaming is a particular provider mainly focused on virtual sport but have a good range of casino games including slots, table games, video poker, lottery, mobile games and bingo. UK based operations started up in 2003 and has launched their product on big operators such as Ladbrokes and many more which you will find listed below. We are not going to commit in adding more information nor insights on this provider for now, we will leave your comments and rating to follow.